Schoeller Allibert now offers financial packages to eliminate the need for up-front financing. 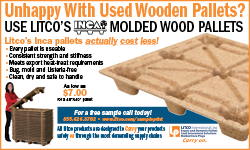 Like the idea of reusable packaging and plastic pallets but can’t get past the up-front cost? 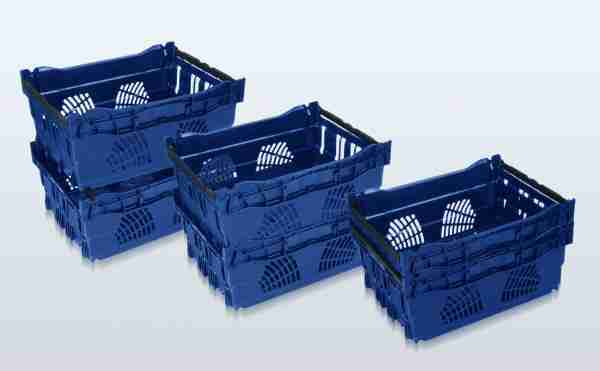 With this in mind, Schoeller Allibert, a world leader in plastic reusable transit packaging (RTP), has teamed up with LDF Supplier Finance to offer asset finance packages to its customers in the UK, enabling them to use its market-leading ranges of trays, containers, pallets and accessories – with no initial capital investment. 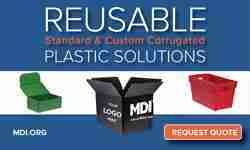 The savings made by introducing reusable containers can often exceed the cost of the lease, which can make the initiative cash positive from month one. “Many years of customer experience shows that Schoeller Allibert plastic RTP can often pay for itself after just twelve trips, even when financed conventionally; so, when that investment is spread over time on a lease, the payback can be immediate,” says Simon Knights, Schoeller Allibert’s regional sales director for the UK and Ireland. Leasing is a straightforward option for replenishing or upgrading your container fleet, providing easy to manage repayment schemes that help simplify budget planning, while not affecting other existing finance arrangements. Additionally, leasing helps to conserve working capital which can be used for other expenditure within the business. Knights points out that reusable packaging is capable of performing over numerous delivery cycles and, at the end of its working life, is fully recyclable. 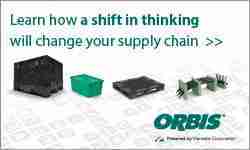 Not only does it eliminate the cost of packaging waste disposal, it also helps speed up delivery of goods to line side and, with foldable or nestable units, avoids the waste of time and money associated with storing and moving ‘air’ on return journeys. Using RTP can also contribute to a company’s environmental commitments. Independently verified research has shown that the product carbon footprint of Schoeller Allibert RTP is on average 68% less than cardboard. For more information, visit www.schoellerallibert.com. Interested in finding out more on financing options? Click on the following link to read our reusable packaging financial alternatives article FINAL.doc (Courtesy of RPA).